Instant gratification is not just a wish it's a hardwired expectation of the Millennials that are gradually moving into influential positions in commerce. So what will be their future demands on shipping and logistics providers regardless of the mode of transport? Road, rail, air or sea? Smartphones, and more recently smartwatches, are already changing the way business is done radically as they enable users to immediately order the goods and services they need. 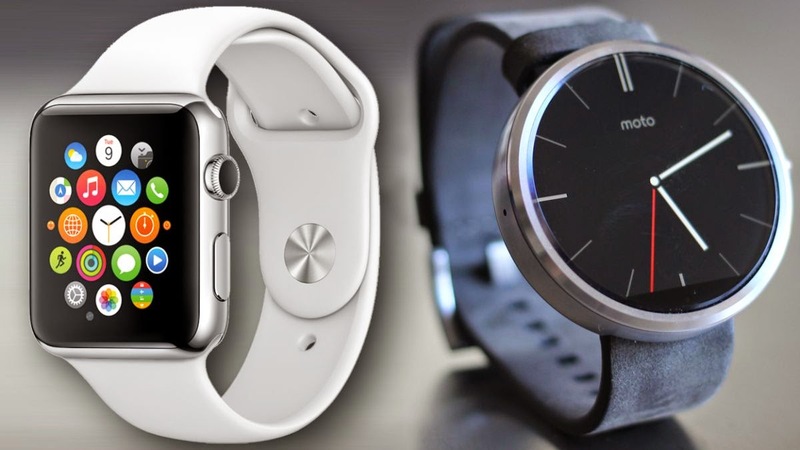 Lets take this one step further though and consider intuitive, automated ordering particularly via smartwatches? As it is wearable devices can track your heart rate, steps taken in a day and your sleeping patterns so it stands to reason they will eventually be able to do far more than this and anticipate what goods the wearer needs and then locate them for an immediate rapid response delivery by the local logistics provider. So while this technology will have less of an impact on large shipments of whole containers and the like, if Depth Logistics had a courier division delivering small parcels and satchels our team would be working on a rapid response delivery system to cater for this inevitable supply chain need. As consumers can already easily check prices, from the very same devices, sellers are being forced to organically aligning pricing to stay competitive. Therefore in my opinion the competitive battleground will inevitably switch to the speed of service or delivery as the deal clincher. Incredible footage of two container ships colliding in the Suez Canal 2 days ago! If you ever think marine insurance these days is unnecessary then watch this. Two days ago the "Colombo Express" and "Maersk Tanjong" collided in the Suez Canal causing the loss of eight containers and serious delays in the southbound convoy through the canal. As yet no cause has been reported and it is believed nobody was hurt. Only one container has been recovered so far. Accidents do happen so contact my team at +Depth Logistics now to make sure your shipments are comprehensively covered. When my children have the choice to either watch TV or +YouTube for entertainment guess which one they choose? It's YouTube. My daughter, nearly 12, doesn't use Google to search online for most things...she first tries YouTube for what she is looking for. My friends report the same thing about their kids who apparently disappear into their room for hours watching YouTube on their tablets and smartphones. The rise and rise of YouTube cannot be underestimated. Did you know it is now the 2nd biggest search engine in the world? Sure, it is still owned by Google but this says a lot about the way future consumers want to find entertainment and information and how this will impact business and media consumption in the future. In homes now with internet enabled TV's, like mine, YouTube is what my kids want to watch ahead of free to air programming. Why? The bottom line is, they are in control. They get to CHOOSE what they want to watch and even get the opportunity to skip advertising after a few seconds. They also have the freedom to CHOOSE which device they watch it on and when. How does television compete with that? It can't! Have you set up your YouTube channel for your business yet? Here's why virtual offices and offshore teams are now possible. What about collaboration? Google Hangouts make that possible with team members in multiple locations around the world. In a commoditised, internet enabled, global economy where competition abounds, loyalty is evaporating fast and brands matter less. The consumers mindset has changed as they know the power in any transaction rests primarily with them, the buyer, and no longer the seller. Via a smartphone it is easier than ever before for them to go somewhere else, price check and short list another supplier to ultimately satisfy their needs. This reality is causing business loyalty to fast become "old school" and buyers are typically unforgiving because now they can afford to be. Therefore the value a modern buyer attaches to a long business relationship with years of good service they may have received is diminishing. The test now is their last experience with buying from your company so you better make it good for them. If you don't your buyer will not only be gone but worse still their experience in dealing with you can end up in online reviews and damage your business reputation further. That it is why these days, you are only as good as your last job. Mining in Australia and Canada...It's normalising, not crashing! From my perspective as a mere shipping bloke, my view of what's happening with mining in Australia and Canada isn't a crash as some of my younger clients think, it's actually a "normalisation". At the risk of showing my age I have been through a downturn or cycle like this before and it's deja vu for me. The mother of all mining booms has played out over the last ten years or so driven by big demand from China, which is still large, however the accompanying investment boom in mining has slowed radically to what I consider to be more normal non-boom dynamics. Commodity prices are down and while most contracts are written in US dollars, miners in Canada and Australia are suffering from historically high exchange rates when they repatriate their profits. On top of that, the OH&S environment is out of control and salaries have been too. I am not saying safety isn't important but insane and completely noncommercial things have been going on that only serve to increase production costs and feed the voracious "Safety" industry. In Australia sadly we are seeing lots of people losing their jobs and salaries "normalising" too. Paying plant operators circa $140k+ is simply not sustainable and anybody on these sorts of salaries surely must have considered this wouldn't last for them? From a shipping perspective the amount of mining equipment moving is well down. No wonder really with the amount of gear parked up or mothballed currently. A client in Perth told me there are over 500 mining trucks idle right now in Western Australia. We are seeing increased exports of equipment which could gain pace if the AUD would normalise too BUT...which market in the world could possibly consume this much gear? The Depth Logistics Shipping Index for May and June is very telling. May recorded a 68% drop from the previous twelve month high and the index just released for June recorded the lowest import value of equipment into Australia in the history of the index. Only $147m! To put this into perspective some of my clients bigger trucks can cost $4m each. I was talking to a mate in Canada this morning. He is very nervous about the Canadian stock market as basically the Canadian index overall is doing well but the miners, who traditionally have contributed greatly to the strength of the index are not. He and his buddies are waiting for the correction and with a "seemingly" recovering US economy they think the next move up with US interest rates will be the trigger. Perhaps Australia will be the same? Meantime, space on ships for my clients is pretty easy to come by and freight rates are still at historically low, 1980's type levels. People are increasingly internet savvy and seeking quicker, easier, more affordable and enjoyable ways to do business. Depth Industries DNA is to strive to meet our clients needs and revolutionise the way they can access services while engaging with them as deeply as possible. The vision that my team and I at Depth Logistics have had for myCargo has just been realised with the deployment of a quantum leap making upgrade to the platform last Friday. 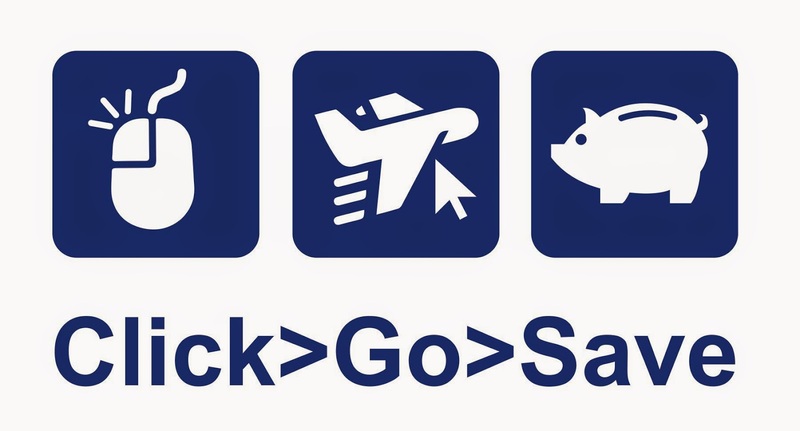 myCargo is now a true game changer that creates competitive advantage by allowing clients to arrange 100% of their shipping needs digitally if they chose in the same manner you can make travel bookings these days. It enables us to offer myCargo members radically lower rates in a simple, personalised and easy to use platform. A "Best Price Guarantee" is one of the pillars of the myCargo service offering and so are the special offers we will constantly deliver. Currently members can get a customs clearance done for as low as A$80.00! The depth of resources available go way beyond an "old school" track and trace facility. 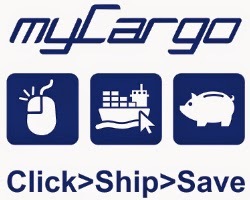 By the way myCargo offers this but in true real time! It is packed with tools that enable members to monitor, analyse, compare and consequently partner with us in reducing their logistics spend right from within their own personal dashboard. Online quotes, marine insurance, quote history, shipping document archives are just a few more of the capabilities available. +Julie Magnone or I would like to do a demonstration for you or otherwise feel free to sign up now and start making your shipping easier, more enjoyable and cost effective. Check out this 3 minute YouTube clip for a great example of Leadership. How does global business flow now? A MUST READ if you are in business. In this blog I have been regularly talking about global business changing rapidly and how the internet and modern transportation methods have impacted the landscape of competition for numerous industries. Distance does not matter anymore! If your overhead structure and prices are not GLOBALLY competitive you better get your skates on and make them so before the freight train runs you over. To say it again, regardless of international borders, overseas competitors are now able to take you and your company on at home and are doing so. I follow the McKinsey Global Institute and this month they released a research report with some stats that you cannot afford to ignore. -There was a $26 trillion flow of goods, services and finance in 2012 which is equivalent to 36% of global GDP. -By 2025 it is estimated that cross border business flow will reach $85 trillion. -Global GDP will grow by an estimated $450 billion each year. -18x increase in internet traffic from 2005 to 2012. -90% of commercial sellers on eBay export their goods to other countries vs 25% of traditional businesses. -In 2012 China accounted for 12% of global trade in goods which was up from 2% in 1990. -In 2012 emerging economies accounted for 38% of the total cross-border flow of goods, services and finance which was up from 14% in 1990. These confirm the trend I have been writing about in this blog for quite some time now about how global competition is developing. All of the businesses I am growing in Depth Industries are geared to help companies stay globally competitive by accessing the goods and services that will help them not only survive, but prosper in this landscape of truly international competition. Time to face the brutal fact. International competition is commoditising goods and services more than ever before in history and whether you like it or not price is increasingly the driver in the decision making process. Are you globally competitive and chasing down international markets? If not, why not?! There are some great opportunities if you are rigged the right way. I'd like to help you develop a strategy for your business and would welcome you contacting me. Is marine cargo insurance essential? I was talking to a Depth Logistics client yesterday who has asked us to ship a container of parts for her. As is our standard operating procedure, I asked her whether she had marine insurance cover for the shipment? She told me that they wouldn't worry on this shipment as it wasn't big enough...or in translation to me, not worth enough that if it were lost or damaged there would be a serious financial impact on their company. To most people it would seem commercially astute to save the small cost of an insurance premium where they believe the risk of loss or damage to their cargo is negligible. Sound logic if it were just the cargo that is at risk but it isn't! Centuries of maritime law precedents have established an entirely different principle that make it important to have marine transit cover in place on even the seemingly small and low risk shipments. Shipping has numerous uncontrollable risks at sea and is inherently a high risk activity for any business. Maritime law tends to side with the ship owner whether you like it or not. Most people don't realise that when they ship their cargo on any ship for a particular voyage then at law, they are considered to be in a joint venture for that voyage. What this means for shippers is that should the vessel get into distress, suffer a mishap, be forced to jettison cargo to save the ship, be lost at sea or hypothetically require salvage to remove it from a shipping channel then each shipper with cargo on board proportionately shares in these costs. That is the spirit of a joint venture after all and maritime law precedents support this regardless of fault or blame. Therefore cargo even with a low value can end up costing the shipper a literal fortune for their share of costs incurred to deal with the mishap properly. In my career there was one occasion where a client had a single container on a ship that ran aground in a shipping channel. The vessel had to be cut up at sea and removed from the channel as it presented a risk to other vessels and the environment. My client got a bill in the region of $400,000 for their share of costs even though their cargo was worth only a fraction of this. Had they not taken been prudent enough to ask me to take out marine insurance for them this would have been a ruinous event for their company. So you should ALWAYS ALWAYS ALWAYS...(have I shouted it enough?) ALWAYS have marine cargo insurance. It is false economy not to. Feel free to contact me or my team if you would like some free advice on this critical aspect of shipping. Australian federal budget 2014. Some suggestions from a humble shipping bloke. On the 13 of May the new Australian Government hands down the Australian Federal Budget 2014. The speculation as to what will be in it seems bigger than ever in the media. While in no way do I consider myself an economist, at very best perhaps a bush economist, I'd like to enter the fray with a couple of suggestions for the Treasurer, Joe Hockey. I think most Australians accept our country is now back in debt and it needs to be addressed. Generally I think we are prepared to take some pain rather than go the way of other countries whose debt grew to such an overwhelming level that their economies became dysfunctional. The Australian government must raise tax revenue, cut costs and help our exporters. Pure and simple. With my background and qualifications in international trade and customs I think one area that government should use is with import duties. An increase in import duty of just 1 or 2%, on imported goods from countries that Australia does not have a free trade agreement with, would generate huge revenue and also help protect our local jobs and manufacturers who are rapidly disappearing with increasing global competition. Furthermore it would make imported goods slightly more expensive and hopefully slow imports down and thus improve our balance of payments. Such an increase to import duty is easy to apply and cheap to administer as Customs have the IT infrastructure to do this already. Back in my college days, about 25 years ago, I wrote my final paper suggesting that protectionist policy had had it's day and we would see free trade between nations and trading blocks emerge. I was severely marked down on this at the time as my lecturer had a strong protectionist and differing view. Essentially what I predicted is what has come to pass though. I have not been a protectionist for all of my working life however I now think in the next 5-10 years we may go full circle and we will start implementing protectionist policy once again. I believe many other countries in the west will be forced to as they cannot compete with other other countries and keep their population employed. So as global competition is intensifying I am gradually becoming a protectionist conditional upon import duties imposed being kept to a bare minimum. In my mind an absolute maximum of 5% as we do not want our local industry to become complacent or reliant on import duty for survival. The other area is GST. While I do not profess to know the finer points of Canadian taxation, it seems to me that the Canucks are doing it pretty well and adjust the rate of GST up or down accordingly to act as another economic lever. During the GFC they lowered their GST progressively from 9% to 5% where it is now which in effect helped stimulate the economy by making things cheaper. 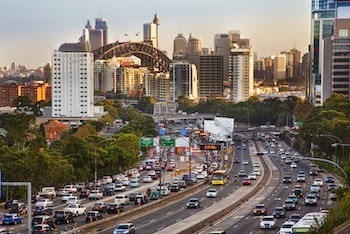 In Australia the main and seemingly only lever we use is interest rates to slow down or to stimulate economy. Pretty crude approach in comparison to our Canadian mates who have very similar economy to ours with mining, tourism and agriculture being key drivers and two levers to pull economically. We should follow their lead. Apart from that, help is on the way to our exporters. This month the government increased expenditure on Export Market Development Grants and simplified the process. A positive initiative that will certainly assist. If only the AUD would weaken to sensible levels for our exporters then we'd be knocking down that foreign debt in no time. Since the earthquake and tsunami that hit the Fukushima nuclear power plant the industry has started looking at offshore alternatives that they believe will be much safer. In fact, Russia is already building the first floating plant called the "Akademic Lomonosov"(pictured) which will be operating by 2016. This is essentially a vessel that will be docked at a wharf in Vilyuchinsk and will be connected to the local electricity grid and steam lines. The vessel can be easily mobilised in the event of a mishap away from the town. 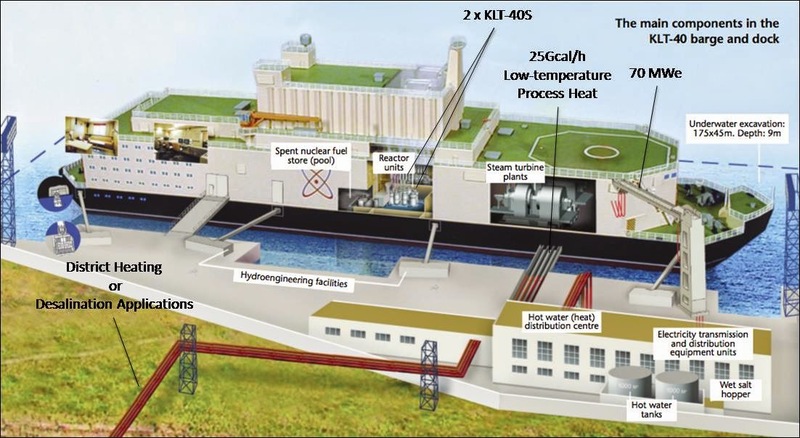 In the USA, MIT has another floating nuclear power plant concept that is thought will be tsunami and earthquake proof. The MIT design stations much bigger nuclear power plants much further offshore much like a floating oil platform. In the event of an incident it is further away from major population centres and there is also sea water available that could be used to cool rods and stop them melting down. Despite major incidents like Fukushima and Chernobyl, it appears that nuclear power is here to stay and our oceans and shipping industry are about to start playing a role in meeting our energy needs. Cheaper Australian coastal shipping services ahead...finally! Back in June 2012 I posted this blog about the then Federal Government's changes to shipping legislation that they somehow thought would revitalise shipping in Australia and lead to more coastal services. I reported in that post that the new legislation was actually having the reverse affect as many ship owners ceased their Australian coastal shipping services. That legislation lead to them being burdened with additional government charges, increased salaries for foreign crew who had to be paid at Australian award rates and significantly more red tape and paperwork to deal with. The few carriers that still offered a service were forced to pass on these costs and rates were hiked making shipping some cargo by sea more expensive than road or rail. The bottom line was that my clients businesses were burdened with additional transportation costs that they could ill afford and Australian shipping wasn't revitalised one iota and indeed it regressed in my opinion. 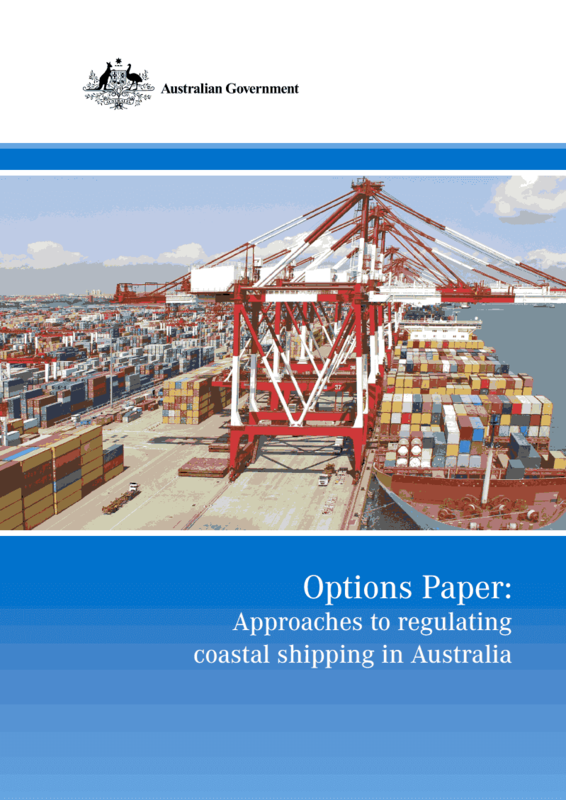 This month the new Liberal Government announced a review of this legislation and released this option paper entitled "Approaches to regulating Australian Coast Shipping". Sensibly this options paper contemplates removing all regulation of coastal shipping and to actively minimise all industry burden and costs. Depth Logistics' is already gearing up our Australian Coastal Shipping Service in preparedness for our clients directing more of their domestic cargo back to sea. Furthermore we will be making a submission firmly advocating, on behalf of our clients, the negative impacts the current legislation has had on them and explaining why it MUST go. If you would like any particular concern, idea or view you may have expressed on you or your companies behalf, then please either make a comment in this blog post or contact us. Stay tuned to this blog or follow +Depth Logistics or +Brad Skelton on Google+ for updates as this review unfolds. 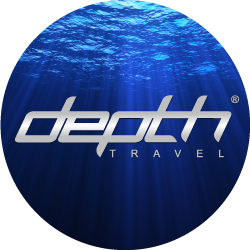 Rest assured Depth's team and I will do everything we can to influence the right outcome for our clients and industry. Have you tuned out to advertising as well? In this blog I have written about changes and restructuring of the way business is being done globally. Nearly every industry is being challenged in some way. I believe advertising is no different and think that people are tuning out to traditional forms of advertising no matter what channel is delivering it. It is literally overwhelming how much our senses get assaulted by advertising these days as corporations try to be heard more loudly than their competitors. The internet has changed the landscape. Once the power in any sales transaction rested mainly with the seller. Now the pendulum has swung and with the help of the internet and smartphones the buyer now has the power to immediately price check globally and verify facts to see which companies are telling them the truth. This YouTube clip illustrates perfectly why we are tuning out to traditional advertising. Authenticity, transparency and a fair price is what earns a buyers trust, attention and spend. By the way, you don't sell anything unless there is a transfer of trust! I also believe there is a change in consciousness of buyers and what corporate messaging and advertising they choose to listen too. And YES...this is increasingly a CHOICE and therefore further undermines the power of advertisers and big corporate. Social media is impacting this massively where customers CHOOSE to follow certain companies and brands online. Word of mouth is everything and today word of mouth is mostly online. Even a tiny one person start company can be heard above big corporate advertising campaigns these days and frequently smaller businesses are immediately trusted more. Particularly by the Millennials who live on social media and forums for nearly all their needs. So how can big corporate keep our attention? I think they need to get fair dinkum about embracing social entrepreneurial-ism and work out how they can make a difference to our community and planet. +Pepsi is one big corporate who has done a great job of this with their Pepsi Refresh Project. In essence they diverted $20m in marketing spend toward ideas that could have a positive impact on the community. This not only did a lot of good, but the publicity, trust and advocacy this earned them far outstripped the return on investment they would have otherwise received through spending this money directly on more advertising noise. How far off is the Circular Economy? So what is a circular economy I hear you ask? The best way to explain a circular economy is to look at our current linear economy. Our economy today is mainly driven through taking in material from the ground, manufacturing something, and ultimately that material or product, gets thrown away.While the world is progressively recycling more, with a circular economy you go further in that you design products to be regenerative. Therefore you design a car for re-manufacture, dis-assembly and de-componentisation. A circular economy allows for the materials that sit within the global economy that currently get thrown away to go back in. Economically this will involve everything from different financing of those products and materials to different business models. Do we sell the product...or...do people pay per use of the product or those materials for the period of time they have possession of it? This short YouTube clip illustrates the concept nicely. Commodity prices have been trending up for a long time and most are becoming increasingly scarce. Adopting circular economy principles radically changes the rules of production and manufacturing costs. Environmental impact would also be reduced. The gains for us all are potentially be enormous. There are so many exciting changes happening as global competition gains more momentum. We are seeing new industries spring up and many old economy businesses fall by the wayside. For any company to have a long term future it's senior management must be scanning the horizon to ensure that they are not only competitive at home but globally competitive. Adoption of modern thinking such as circular economy principles will certainly be another contributor to long term viability of businesses and sustainability. What can you do in your business to move toward this and what opportunities do you see? It seems that the Japan Fair Trade Commission and the US Federal Maritime Commission have finally acted against carriers alleged to be engaged in unfair practices that have violated antitrust laws. Personally I am very pleased to see the authorities getting tough. My clients and I have been on the receiving end of these types of practices on the USA to Oceania trade lane where one carrier always tried to force 100% commitments of cargo to them in shipping contracts. This obviously closes out competition and is unfair. My USA based lawyers advised that this practice runs foul of both US and European Union competition law but nonetheless they held their stance. WW, K Line, Nissan Motor Car Carrier, NYK, Eukor and MOL have all been under scrutiny by regulators. 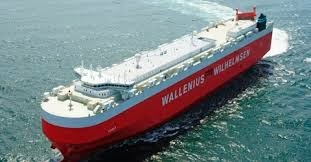 Wallenius Wilhelmsen(WW) has been fined US$33 million for alleged unfair practices in the Japan to Europe trade lane. K Line has provisioned for a JPY5.7bn fine from the Japan Fair Trade Commission this year. To put the size of this fine into perspective their forecast profit to March 31 this year is JPY16bn. Hopefully fairer competition and better rates will result from this crack down on carriers. How would your cargo fair on a ship in stormy seas like this? I was recently told about this company by my friend, +Verne Harnish .Thanks to services offered by +Fleetweather Inc shipowners now have resources available to help avoid bad weather at sea. FleetWeather is a professional marine weather consulting firm that provides a service to the shipping industry to help route vessels away from heavy weather. Their team of marine meteorologists and ship routers gather information to inform vessels of the quickest and safest route to take to their next port. Whilst many companies continue to shift more to automation and providing stand-alone software offerings, FleetWeather continues to deliver a combined solution of technology and analysts, while maintaining a high emphasis on quality service, customized offerings and client successes. With some things you just can't beat the human element. This innovative service provides insight and critical intelligence, giving global shipping leaders the ability to manage changing conditions, opportunities and complex decisions resulting in improved safety, increased profits through improved vessel performance and reduced operating costs and fuel consumption. Above all...this service means less cargo claims and lower environmental impact from shipping disasters. To clients of +Depth Logistics this is what matters to them. Rolls Royce is predicting drone cargo ships will be operating within a decade. I recently blogged about Amazon working toward octocopter drones to deliver orders to customers within 30mins from the time of order. At the time of writing this blog I didn't realise that Rolls Royce , who is a major supplier to the maritime industry, are on a similar path with unmanned drone cargo ships likely to become a reality in less than ten years. Existing GPS, radar and visual controls make this is entirely possible. The main stumbling block is complex international rules governing shipping and environmental considerations in case of mishaps. For example there is a current requirement in international maritime law for another vessel to go to the aid of another. Perhaps drone ships could be exempted from this requirement? Another potential impediment is navigating around other vessels at sea that might not have GPS navigation and anti-collision technology such as small fishing or recreational boats. This is currently done by radar and visual sighting of craft from the bridge of the vessel. It is likely that control rooms would be set up to monitor unmanned vessels and take remote control to deal with certain situations that may arise. Real time video feeds can go to the control room from cameras installed around the unmanned vessel so they can physically see what the vessel may be confronting. There is a research project already running called "MUNIN" which stands for "Maritime Unmanned Navigation through Intelligent Networks. Learn more about Munin. The current thinking is that ships would be only be manned as they navigate departure and arrival of ports and their associated channels. Pilots roles would change to accomplish this where they would physically operate the vessel for these segments of the vessels voyage and then switch the vessel to remote and then get off the ship. Operationally there are some significant gains commercially and environmentally. Vessels can steam more slowly thus using less fuel and creating less emissions. The reason they can steam more slowly is because is purely due to the fact that there is less pressure from the crew to get back to shore. The design of vessels can also change allowing more room for stowage of cargo as there will be no need for accommodation quarters and amenities for the crew. Obviously the ship owners would no longer have to pay the salary of crew as well. For shippers drone cargo ships would translate into lower freight and charter rates. Of course not every type of vessel would be able to operate with this technology. In the short term bulk carriers and pure container ships would likely be enabled first. Technology is impacting numerous industries and their are winners and losers but I am excited about the future and pleased to see the shipping industry actively embracing it.